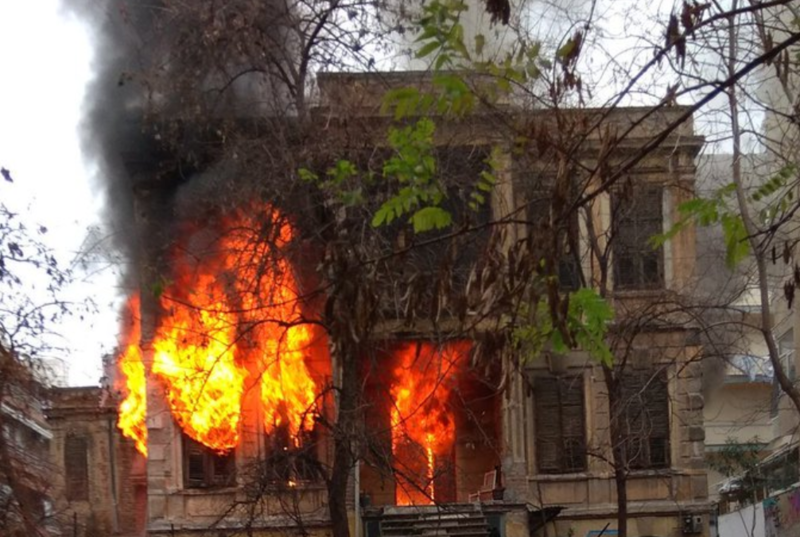 After a group of fascists had split off from a mass rally of nationalists and fascists, they attacked the squatted Libertatia social center in Thessaloniki, Greece. According to the cops around 100,000 people attended at the nationalist demo in Thessaloniki today, including many fascists. After the demo started under the statue of Alexander the Great, a large group of fascists attacked the social center “The School”. The cops didn’t stop the fascists during their attack against the social center School (video below). Anarchists repelled the fascist attack and the fascists had to retreat. 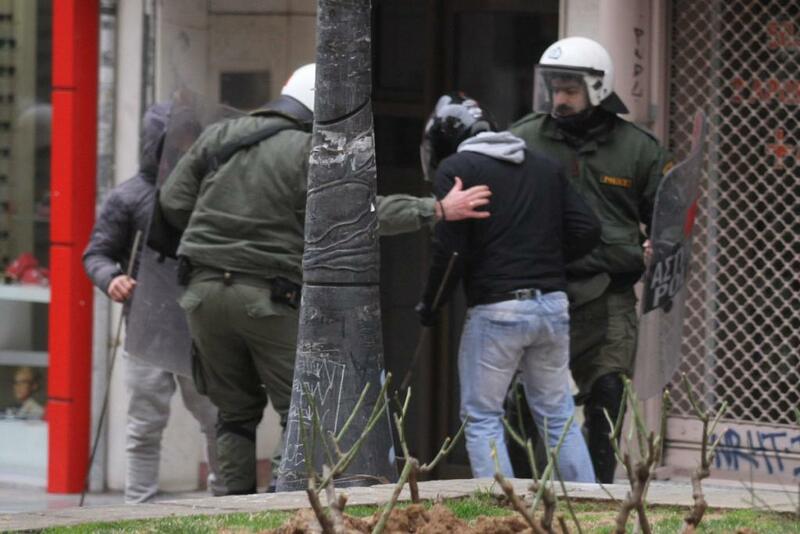 The fascist thugs then went to the Libertatia squat, while cops blocked the anarchists that defended the School social center so they couldn’t get to Libertaria to defend it against attacks. 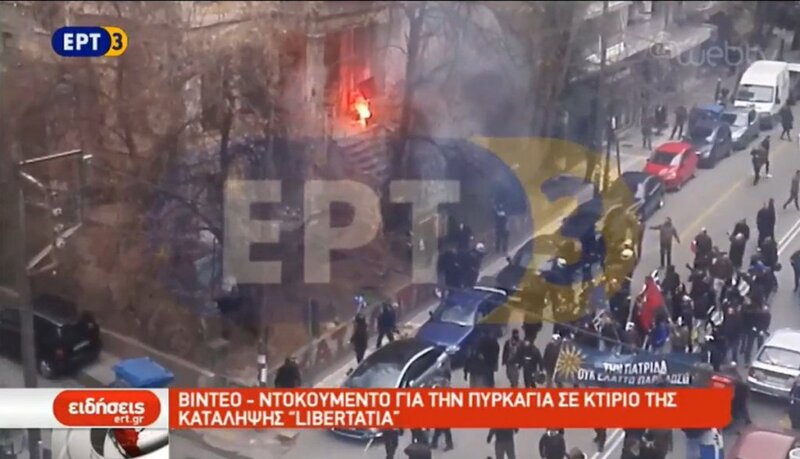 A screen shot from the start of the attack against Livertatia from ERT TV shows that although cops stopped anarchists so they couldn’t defend the building, the cops did not nothing to stop the fascists. 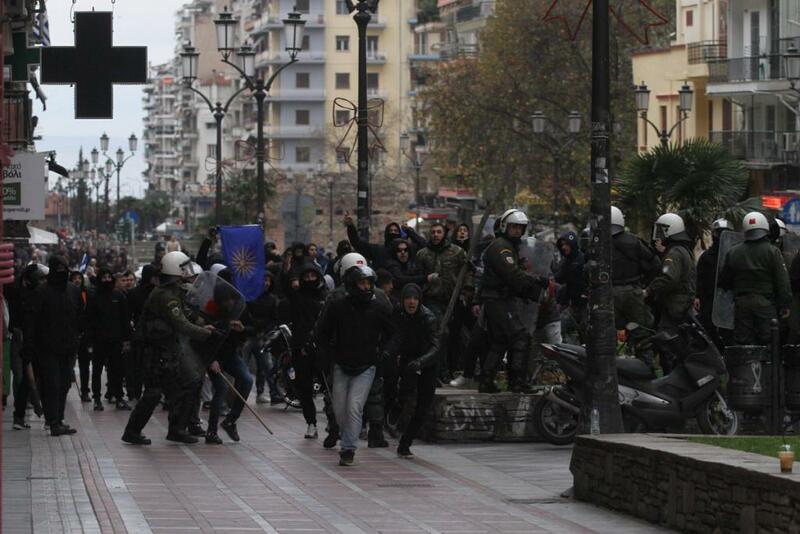 In addition to the two projects that were attacked, there was also an attack on an anti-fascist rally in the central Kamara Square and the Holocaust Memorial in Thessaloniki. Originally posted on the Enough is Enough website as two separate articles. There is a need for an immediate, militant mobilisation tomorrow, if not today. This can not be left unchallenged.